Believe it or not you are in a beautiful, green city. 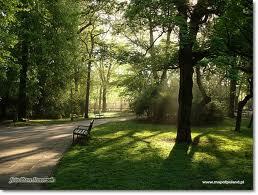 The total area of ​​urban parks covers 503.8 hectares. There are over 40 parks, and also Zoological Garden, Botanical Garden, Palm House and Lagiewnicki Forest.